True to past form, the new songs on Rob Clarke & The Wooltones’ latest album are stylistically consistent with 60’s era pop and The Beatles. Also, Big Night Out is appropriately titled, especially when one considers the inclusion of a live bonus disk featuring original Quarrymen drummer Colin Hanton. From the opening bars of “Brown Paper Bag”, it’s immediately evident where Rob Clarke & Co find their inspiration. It’s simple. It’s hooky. It’s also only 2:30 seconds in duration. 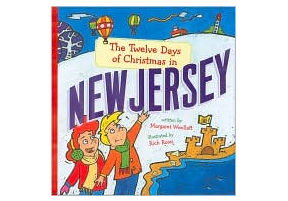 “Jump in My Igloo” is similarly appealing. As one might expect from the title, “Last Train to Rob Clarkesville” has a Monkees vibe to it. Clarke coops a familiar riff and follows with a pretty awesome, hooky chorus. Big Night Out’s final song, “Lost and Forgotten People of Baab”, may be it’s best (the silly “Ashton Labour Bingo Club Charity Interval” doesn’t count). It’s part garage, part bubblegum and part nonsense. Make no mistake though, “Lost and Forgotten People of Baab” is all irresistible. Not every track is a keeper but there’s lots here to like. And the live bonus disk is tremendous fun. 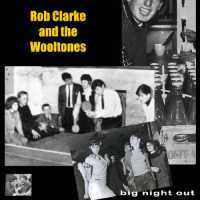 You can get Rob Clarke & The Wooltones’ Big Night Out as a digital download at their bandcamp page or get the physical product at Kool Kat Musik. Rob Clarke asks Are You Wooltoned?